This working paper examines the implications of digitalisation for skilled migration in high-income countries such as Australia and outlines key areas for policymakers in relation to the future of work and migration policy. Technology, globalisation, and digitalisation are having a tremendous impact on education, employment, family, and migration globally. Termed the ‘fourth industrial revolution’, the digital revolution consists of developments in information technologies combined with robotisation, automation of tasks, the internet of things, and a host of other advances in diverse areas such as manufacturing, transport, surveillance, and biotechnology. Every year, more and more people are working remotely, on a flexible part-time basis, and for more than one employer. Increasingly, this is without national boundaries, particularly in highly skilled roles and innovative sectors. At the same time, many ‘traditional’ jobs and organisations are likely to become increasingly globalised and fluid as people move from one country to another. This working paper explores the changing nature of work and what this means for government, employers, and workers. In particular, it focuses on the implications of digitalisation for skilled migration in high-income countries such as Australia. The ‘fourth industrial revolution’ is characterised by a range of new technologies that are fusing the physical, digital, and biological worlds, affecting all fields, economies, and industries. Also referred to as 4IR or Industry 4.0, it is described as the ‘fourth’ because the first Industrial Revolution was that of the steam engine; the second centred on electrification and mass production; and the introduction of the computer signalled the third. The degree to which the fourth industrial revolution will truly change our lives is subject to conjecture and debate. For this working paper, in-depth interviews were conducted with experts from business, civil society, academia and intergovernmental organisations. Their views helped to inform and shape the insights contained in this paper. While views varied on whether we are facing a gradual evolution or a genuine revolution in the nature of work, it was widely agreed that workers who perform tasks that are easily automated will be forced to find new work which involves tasks that are not easily automated. And they will be competing in a global job market. Some predict that big data will become a source of freedom. Others fear it is already on its way to being a means of surveillance and enslavement. One view is the peer-to-peer economy could be the prelude to a new era of collaborative consumption and the gig economy a means of unleashing hidden capacity. Another is it could be the start of a new era of ‘precarisation’, where a new class of workers will have much lower levels of job security than previously experienced, and be subject to precarious temporary employment rather than permanent work. The key debate is whether this is history repeating itself, or a new era of social and economic organisation. Although uncertainties exist, significant change is coming for industry and the labour market. There will be shifts in everything from the tasks that we undertake in our work through to the organisation of firms and the wider economy. As the nature of work shifts, the context and nature of international migration will also change. There will be impacts on both high- and low-skilled labour migration. A key consideration from a labour and migration perspective is the trend towards increased mobility — both virtual and physical. Digitalisation is another key driver. Many jobs will be able to be carried out anywhere in the world due to a shift to online work. Access to information, flexible temporary labour, and low taxes will create new opportunities for skilled migrants to find overseas employment. And due to automation, some manual labour jobs typically carried out by migrants will disappear. The potential policy implications of the fourth industrial revolution are not yet fully understood. If future workers are going to be self-employed, and/or holding a portfolio of jobs, then visa conditions may need to change to reflect this. In a world where start-ups and entrepreneurialism are increasingly important, the process for hiring a skilled worked may need to be simplified. In order to inform skilled migration policy, greater evidence will be needed on skills gaps, employment patterns, and where value is being generated. This won’t be found by solely relying on traditional employer intelligence. While technological change is one part of the story, significant social, economic, and environmental shifts are also at play. Evolving attitudes, ethics, social norms, and expectations are feeding into this cycle of change. New models for doing business, particularly the peer-to-peer economy and its enabling platforms, are also proving influential. Public attitudes to immigration are also likely to be increasingly significant as growing inequality and concerns over unemployment causes further tensions and anxiety in society. This working paper identifies some of the key features of the fourth industrial revolution and its impact on the labour market and future work. It analyses specific implications for international migration, both physical and virtual, and discusses the effects on various socio-economic issues such as social inequality, income polarisation, collapse of the middle class, local competition, and taxation. The final section outlines areas for policymakers to consider in relation to the future of work and migration policy. Managing the transition will be as important as the change itself. This means preparing now for the future of work. One of the most common questions in the context of the fourth industrial revolution is whether robots are coming to take our jobs. The answer is yes. For some of us. However, estimates on the actual numbers vary. Analysis by PwC of the labour market in the United Kingdom found up to 30 per cent of jobs could be at high risk of automation by the 2030s. They found different levels of risk for the United States (38 per cent), Germany (35 per cent), and Japan (21 per cent). Their results are in contrast to the research of Frey and Osbourne, who estimated that around “47 percent of total US employment is in the high risk category” — high risk meaning jobs they would expect could be automated “over the next decade or two”, based on an examination of 702 detailed jobs. Other researchers have found lower figures. For example, Arntz, Gregory and Zierahn estimate that only around 10 per cent of jobs are at a high risk of computerisation. Their finding was based on the reasoning that any predictions of job automation should consider the specific tasks that are involved in each job rather than just the occupation as a whole. McKinsey Global Institute has also analysed the potential impact of automation at the level of individual activities rather than entire occupations. They further examined 18 performance capabilities that every job combines to a greater or lesser degree (in five groupings: sensory perception, cognitive capabilities, natural language processing, social and emotional capabilities, and physical capabilities). They found that less than 5 per cent of occupations are candidates for full automation. However, almost every occupation has partial automation potential, where a proportion of activities could be automated. They estimate that about half of all the activities people are paid to do in the world’s workforce could potentially be automated by 2055 by adapting technologies that already exist. That equates to almost US$15 trillion in wages. Table 1 summarises the results in terms of technical potential for automation across sectors. The figures noted above are based on an analysis of job type and tasks. Looking at the characteristics of the employee can reveal further nuances. The key differentiating factor for risk levels for individual workers appears to be level of education. With the completion of secondary education, the estimated potential risk of automation is as high as 46 per cent in the United Kingdom, but only 12 per cent for those with undergraduate degrees. Although in more detailed analysis it was found that the highest risk was to those with “medium education” (somewhere between GCSE/Year 10 level and graduates). This echoes observed and predicted trends about the loss of middle-skill jobs, referred to as job polarisation. Many studies have noted that job polarisation is occurring. This means the growing importance of the least and most paid occupations and least and most skilled occupations (not always the same thing) at the expense of middling jobs such as administrators, data processors, supervisors, and assembly line workers. This is more than a story about the decline of manufacturing. It is also about routine versus non-routine jobs and the degree of information and communications technology (ICT) intensity within a sector. It is about roles where robots and computers will soon perform routine physical tasks better (and more cheaply) than humans. And where they are increasingly capable of accomplishing activities that include cognitive capabilities once considered too difficult to automate such as sensing emotion. Risk of automation also differs significantly by sector. In the United Kingdom, the risks appear highest in sectors such as transportation and storage (56 per cent), manufacturing (46 per cent), and wholesale and retail (44 per cent). It is much lower for sectors such as health and social work (17 per cent). For the economy as a whole, the burden is spread across many industries. Based on total risk to existing jobs being at 10.4 per cent, then industry risk would be highest in wholesale and retail trade (2.25 per cent) and manufacturing (1.22 per cent), and lowest in financial and insurance (0.35 per cent) and education (0.26 per cent). In Australia, research has shown that 40 per cent of jobs have a high probability of being susceptible to computerisation and automation in the next 10 to 15 years. Jobs in administration and services are seen as particularly susceptible, while jobs in professional, technical, and creative industries are at lower risk. It is also worth noting that the regional context for Australia may change. It has been widely anticipated that the global economic centre of gravity will continue to shift towards emerging-market economies, with Asia at the centre of global economic activity. However, such predictions may be complicated by technology. Trends such as the automation of manufacturing may cause significant economic disruption. For example, research by the International Labor Organization (ILO) has found that, for the ASEAN-5 (Cambodia, Indonesia, the Philippines, Thailand, and Vietnam), around 56 per cent of all employment has a high risk of automation in the next two decades. China has also been heavily investing in order to maintain a competitive edge in manufacturing. From 2013 to 2016, China bought more industrial robots each year than any other country, including high-tech manufacturing giants such as Germany, Japan, and South Korea. While the predictions above are based on what is theoretically possible, in practice not all jobs can be automated because of economic, legal, and regulatory reasons. Other factors that will also determine the pace and extent of automation include social acceptance, the ongoing development of technological capabilities, the cost of technology, supply and demand dynamics in labour markets, and the performance benefits (beyond labour cost savings). Still, none of the above estimates of job destruction take into account potential job creation. There is agreement that new jobs will be created, although no one really knows how many new jobs this may entail. Labour-saving technology will not affect all workers equally. It is likely that job creation and destruction will offset each other to cause a lower level of overall job loss than the estimated 40 per cent for Australia. However, the impact of job loss on individual livelihoods will still be significant. Changes in occupational structure may also perpetuate regional inequalities, as new jobs are created in cities with high concentrations of highly skilled workers, not in the places that are experiencing job loss or displacement. And just as the losses will be borne more heavily in some areas than others, the productivity and economic benefits are also likely to be uneven — and unevenly distributed. McKinsey Global Institute’s scenario modelling estimates that automation could raise productivity growth globally by 0.8 to 1.4 per cent annually. These productivity gains assume that humans will work alongside machines, requiring a new degree of cooperation between workers and technology. They do not imply that workers will be the beneficiaries. Governments will need to intervene to ensure that the potential gains from automation are shared more widely. Whether this should be in the form of income distribution or other methods remains subject to debate. Likewise, according to a Senior Research Officer at the ILO interviewed by the author, the ILO has had intense debates about the impact of automation in every decade since the 1950s. It knows that technological change leads to job destruction, but is more concerned about what actions policymakers take to facilitate job creation. It believes that the quality and distribution of jobs should be of greater interest than the total number of jobs. This is because statutory working hours, minimum wages, unemployment insurance, taxes, and benefits have all been modelled on the traditional employer-employee relationship. While automation may or may not necessarily affect the total number of jobs, a reduced need for labour can translate into a reduction in the number of hours worked and cause underemployment. Although the traditional open-ended labour contract is still standard, other types of contracts and work arrangements are increasingly being deployed. There have been some efforts to predict what the new jobs of the future will be. These predictions will no doubt seem conservative in retrospect because it is hard to imagine what doesn’t yet exist. However, it is useful to look at research that has attempted to peer ahead in time. Three ways to approach the question of future jobs is to think about roles, skills, and the nature of employment. In terms of roles, based on the creation of scenarios, researchers at CSIRO and Data 61 were able to predict that jobs of the future will include: big data analysts; complex decision support analysts; remote-controlled vehicle operators; customer experience experts; personalised preventative health helpers; and online chaperones. In an examination of future jobs in the digital economy, Senior Researcher Christophe Degryse suggests that there will be marked differences in roles for the highly skilled working at the top of the scale and the lower skilled at the bottom. He predicts that the highly skilled will be working as data analysts, software developers, specialists in artificial intelligence. At the bottom of the scale, he envisages digital “galley slaves” who spend their lives doing data entry or data filtering, busily engaged behind the scenes to ensure digital platforms run smoothly. Alongside them he places Uber drivers and those doing casual odd jobs (repairs, home improvement, pet care, etc) in the sharing economy (sometimes referred to as ‘platform capitalism’). Another way of examining what the jobs of the future might be is to consider where skill shortages are likely to arise. Predictions are at best speculative, not least because there are many and varied ways for digitalisation to unfold, linked in no small part to how society responds. It is also uncertain because digitalisation is likely to have far-reaching structural effects on national economies. Still, there are some common threads in the skills that will be in demand. The top ‘soft skills’ (social, emotional, and analytical skills) of the future are predicted to be complex problem solving, cognitive flexibility, and creativity as well as people management skills such as negotiation, coordination, and emotional intelligence. In its examination of the potential impact of automation on capabilities, the McKinsey Global Institute found that automation will take some time (or at least further developments are required) before it affects capabilities such as: the ability to identify novel patterns; social and emotional capabilities; creativity; and the ability to coordinate with multiple agents. These are the sorts of skills that may then be in demand. On the flipside, the capabilities where the most ‘progress’ has been made in terms of automation (and therefore where jobs may be sooner replaced) include: recognising known patterns; optimisation and planning; and information retrieval. These are not unique to factory workers or office managers. They are tasks that can be found within a wide range of roles such as sewing machine operators, travel agents, statisticians, and even CEO roles. This is the logic behind McKinsey Global Institute’s finding that 60 per cent of all occupations have at least 30 per cent of activities that are technically automatable. Distinguishing between the skills or tasks contained within jobs versus the category or name of a job can lead to deeper insights about future trends. While the titles of many jobs in the future may sound the same, the tasks within and the skills required to do the job will likely change. For example, there is no consensus that jobs in fields such as science, technology, engineering, and mathematics (STEM) are guaranteed. This is because intellectual and technical capabilities such as pattern recognition and coding are increasingly becoming automated. In contrast, social, emotional, and creative intelligence are more ‘human’ and harder to automate. Some experts are concerned that an unsophisticated approach to promoting all aspects of STEM could be a mistake. Instead, greater discussion and foresight is needed about what value humans bring to a workplace and what should not be automated. Monitoring and real-time intelligence on the changing nature of work is important and needs to be more detailed and targeted than to date. In addition to the types of jobs and skills that might be in demand in the future, there have also been predictions about the nature of future employment. The arrangements governing new work may look different to the more traditional open-ended labour contract of today. Digitalisation is reinforcing a trend towards flexibility in labour arrangements. In turn, increasingly flexible and available labour fuels a ‘just in time’ approach where companies can fulfil labour needs as they arise rather than investing in a full-time permanent workforce. In 2015, 15 per cent of Australia’s employment was in the form of some type of flexible labour, with 10 per cent of workers classed as self-employed and 5 per cent in temporary employment. This is a similar percentage to the United States where research points to a significant rise in the incidence of alternative work arrangements (such as temporary help agency workers, on-call workers, contract workers, and independent contractors or freelancers). The percentage of workers in alternative work rose from 10.1 per cent in February 2005 to 15.8 per cent in late 2015. The sharpest rise was for workers hired out through contract companies, which increased from 0.6 per cent in 2005 to 3.1 per cent in 2015. While workers who provided services through online intermediaries, such as Uber or Task Rabbit, accounted for only 0.5 per cent of all workers in 2015, such gig work was found to be growing very rapidly. While a future of flexible and varied work can sound attractive, one of the negative effects is leaving workers in developed nations to the mercy of a global market where they must compete with workers in developing nations to be the cheapest provider of labour. How will the fourth industrial revolution affect international migration? Will there be more migrants or less? Which industries will be most affected by digitalisation and automation? The answers to these questions need to be contextualised in each country representing its digital capacity and skills shortage. On the one hand, most routine occupations, regardless of whether they are low-skilled or high-skilled, can be automated and therefore will be replaced by robots in the foreseeable future. Shop assistants, cashiers, receptionists, fast-food chefs, garbage collectors, street cleaners, librarians, estate agents, data analysts, pharmacists, and para-legals will disappear. On the other hand, jobs that require interactive social skills, creativity, and sensitivity to human emotion will remain. Medical and care sectors are predicted as least likely to be replaced by robots. Digitalisation will have an impact on both skilled and labour migration. Access to information, flexible temporary labour, and low taxes would open far more opportunities for skilled migrants to find overseas employment easily. Digitalisation can increase skilled workers’ mobility around the world. Some manual labour jobs typically carried out by migrants will either disappear or be replaced by automation. 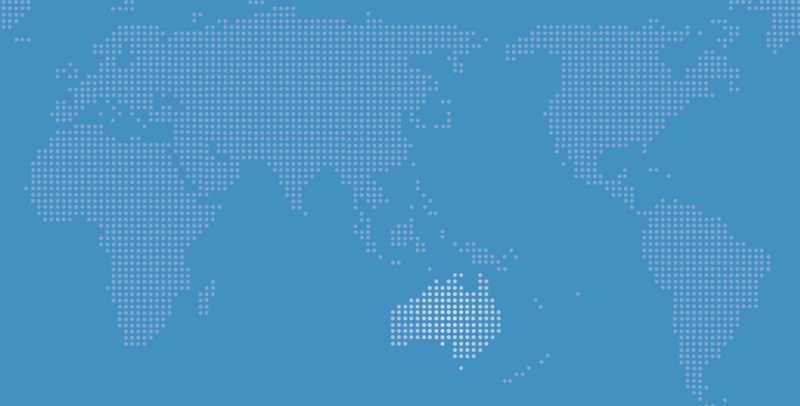 Manufacturing, agriculture, and mining industries are already remotely controlled in Australia. Medical and care sectors will still require international migrants to fill the shortages. There are other significant factors at play, including a country’s demographic changes, geopolitical circumstances, and social norms. Countries such as Australia have demographic constraints that mean we will continue to see skilled labour shortages. Like many countries in the world, our population is ageing. If fertility, net overseas migration, and life expectancy rates were to continue in line with recent trends, the proportion of the population aged 65 years and over can be expected to increase from 14 per cent in 2013 to 23 per cent in 2061. Along with population ageing, the working-age population (aged 15 to 64) is expected to decline from 67 per cent in 2013 to 61 per cent in 2061. This is not just happening in Australia. All of Australia’s major trading partners will go through a major demographic transformation to older societies, including the European Union, Japan, and China. Due to demographic shifts worldwide, the number of people reaching working age will decline sharply from previous decades — from 1.2 billion in 1995–2005 to 850 million from 2015 to 2035. Working-age populations are projected to contract dramatically in developed countries, including Japan (–37 per cent), Russia (–31 per cent), and the eurozone (–29 per cent). In 2012, only the populations of Japan and Germany had a median age of over 45 years old. For many developed countries, immigration (as currently projected) will not offset this ageing of the population. By 2030, most European countries, South Korea, and Taiwan will have entered the post-mature age category (with a median age over 45 years). In 2060, China’s share of people aged 65 years or older is projected to be over 28 per cent — or around 5 percentage points greater than Australia in that year. Significant talent shortages will bring a global competition for labour, skilled and otherwise, in our lifetime. At the same time, the share of migrants heading to high-income countries has increased from 36 per cent to 51 per cent. From 1990 to 2010, high-skilled migration within OECD countries rose by 68 per cent. High-skilled migration from non-OECD countries rose by 185 per cent during the same period. In 2010, the United States, United Kingdom, Canada, and Australia accounted for 70 per cent of high-skilled migrants in the OECD. Competition for high-income jobs has become global and the calibre of competitors has never been higher. Digitalisation both enables and reinforces a shift towards a world where skilled occupations have become more accessible in a global scale as well as being flexible, temporary, and compartmentalised in nature. Some employers are already reluctant to hire permanent and on-site skilled migrants, instead preferring to combine temporary on-site employment and offshore outsourcing of skilled labour with lower wages. Digitalisation will make the offshoring option even easier. ‘Virtual labour migration’ has been defined as work that crosses national boundaries through online capital, labour, and information flows. It is essentially offshore online labour that blends local, national, and global contexts. Through this online labour, workers can participate in the digital economy at any time from any place in the world. Because of digitalisation, jobs can now be subdivided into separate parts and then outsourced or automated. The significance of online labour is poorly understood, not least because conventional labour market statistics and economic indicators are ill-suited to measuring work that is transacted via online platforms. Online labour is often understood as ‘trade’, ‘subcontracting’ or ‘outsourcing’ but not as ‘labour migration’, which is reserved for physical migration. Unlike other regular imports, there are rarely any taxes or tariffs imposed by governments. The entire digital transformation of labour markets has remained largely unobservable to (and unobserved by) policymakers and labour market researchers. Visa restrictions can also be attributed to the accelerated growth of online offloading of work. Online labour is largely related to the rise in the gig economy mediated by online platforms. This ‘online gig economy’ is essentially a new labour market “where employers use online labour platforms to engage workers for piecemeal, short-term or project-based work delivered over the internet”. Dozens and dozens of platforms have emerged to cater to different markets. Examples include Fiverr, Freelancer, Upwork, Outsourcely, Guru, Peopleperhour and Mechanical Turk just to name a few. In some cases, such online platforms allow larger tasks to be divided among a ‘virtual cloud’ of workers. Companies of all sizes are using these platforms to access skilled and flexible labour, paying workers by project, piece rate, or by the hour. Tens of millions of workers are thought to have already sought employment through such platforms. So why aren’t these developments already being tracked by nations everywhere? The challenge is that online work is not easily defined or measured. The assumption is that online work is largely in the form of short-term gig work, but we don’t know for sure if more permanent arrangements are also increasing. And while online work can be categorised as part of the gig economy, there are significant differences in physical and virtual gig work. Driving someone from A to B is still a job dependent on location. Other tasks, such as software development, are not. It is also assumed that online work is completed by a human sitting behind a keyboard, rather than a robot, although their physical location isn’t relevant. The job can be completed online by someone in Johannesburg or Sydney or anywhere in between. The potential policy implications of online work and associated ‘virtual migration’ are not yet fully understood. To some degree, historical precedents exist, where industrial revolutions have led to new modes (and locations) of specialisation. However, while the implications of the ‘de-location of tasks’ to the virtual world has no precedent, it will be even easier for businesses to look abroad to cut costs. In Virtual Migration, Aneesh conceptualises labour-like global flows of capital. He argues that economic migration can no longer be seen solely in terms of physical human movement but of virtual flows. Such virtual flows of online labour are small but growing rapidly. In an attempt to bridge the data gap, the Oxford Internet Institute has created the Online Labour Index (OLI), one of the first economic indicators for the online gig economy. The OLI found that from May to September 2016 the index grew by about 9 per cent, which represents an annual growth rate of 25 per cent. The rate varies widely depending on the date range but it is still extremely rapid for a labour market. The biggest sources of online vacancies were ‘in’ the United States (51 per cent of the global total), followed by India at 6.5 per cent, United Kingdom at 6.5 per cent, Australia at 5.4 per cent, and Canada at 5.2 per cent. In terms of country-specific growth rates, the fastest growth was in the United Kingdom, where the volume of labour bought online increased by nearly 14 per cent. Over the same period, there was a 7.5 per cent rise elsewhere in Europe and 6 per cent in the United States. These are striking figures when contrasted with stagnant rates of growth in conventional labour markets in the same countries. In terms of the jobs going online, the OLI showed that the most in-demand occupations were software development and technology, followed by creative and multimedia tasks. Occupations such as writing, sales, and professional services grew slightly. The online gig economy’s growth over this period was driven by skilled rather than low-skilled or routine work. And the origins of this work are for the most part ‘developed’ economies such as Australia. The potential scale of online work is endless and daunting. However, caveats exist. First, as long as a human is the one completing the task, then the labour still occurs within a nation (unless they are on the high seas). The worker still lives and works within the context of their family, community, and society with all the associated conditions and constraints this imposes. The arrival of work from far away shores, even online work, inevitably leaves a mark. For example, the association with overseas companies and customers introduces new sociocultural aspects through exposure to other nation’s holidays, culture, and languages. At the same time, miscommunication and sociocultural differences remain a common problem plaguing online and distributed labour. Not everything is conducive to being converted into piecemeal tasks online. While online work is growing in the gig economy, the growth of telecommuting by employees within companies hasn’t grown to the same extent (as far as data can tell us). In theory, the ability to work online should have reduced the need for physical proximity between employees. Instead, the desire or need for face-to-face interaction seems to have slowed the uptake of telecommuting as an option by many workers and companies. In many contexts, virtual work remains a complement rather than substitute for face-to-face interactions. In spite of these counter-trends, it is clear that the growth of the online labour market, coupled with the de-location of work, is adding to the impact of digitalisation on the nature of work. It isn’t just about automation, but also virtual migration. Digitalisation is changing many aspects of work, job security, and wages. Younger generations are already experiencing greater temporary or part-time work, self-employment, or extended periods of unemployment. Many digital platforms have built their business models on the argument that they are not employers of workers — rather they are simply providing the technology to connect workers with those that need them. As a contractor, this means the worker will not have access to entitlements such as minimum wages, award benefits, superannuation, and parental or sick leave. Virtual migration is difficult to govern. Online workers are remote from the institutional context of their employer (or service buyer). Virtual services are being delivered entirely online between individuals who will never meet. If located in another country, they can fall outside the local arrangements for taxation, leave and superannuation entitlements, and labour protection in the country where their services are being bought. Essentially, globalisation and virtual labour means that online workers are at the mercy of a market with little in the way of traditional labour protections. In his work for the European Trade Union Institute, Degryse concluded that “these [online] platforms and their crowdworkers represent a severe disruption to the organisation of national labour markets that have been in place in some cases for many decades with their regulations, their social dialogue, their social rights financed by their social contributions and their taxes”. Many online platforms do not class themselves as employers of those who are employed via their platforms. Nicholas Davies from the World Economic Forum notes that “we seem to have gone from minimum or lowering social protections to corporations pretending they are not employers at all”. The concern is that state-based controls and labour protections are not only increasingly disregarded, but increasingly irrelevant. What follows if state-based solutions are no longer sufficient? Who protects the rights of online workers in this new economy? In an era of greater physical and virtual mobility, protecting workers’ rights will require international cooperation. One idea for repeat physical migration is to allocate rights that are additive, with accumulated pension and superannuation entitlements made portable (within a region or even globally) when a migrant moves to a new destination. Calls for the Australian Government to take a more proactive and fit-for-purpose approach to the welfare of gig workers are growing louder. This includes suggestions for regulatory reform to prevent ‘gig businesses’ from avoiding traditional employment standards (such as minimum wages). How to provide protection for workers who are in the no-man’s land of virtual labour is less clear. Greater responsibilities must be carried by businesses. Court cases against Uber could be a sign of things to come. For example, in the United Kingdom in October 2016, two drivers won a landmark tribunal case against Uber, claiming the company acted unlawfully by denying them sick pay, a guaranteed minimum wage, holiday pay and breaks (in November 2017 Uber lost its appeal). In April 2016, drivers in the California and Massachusetts filed a lawsuit against Uber claiming they had been wrongly classified as independent contractors. Uber offered a settlement of A$82 million to the drivers but the court ruled the sum was inadequate. Even in an era of automation and digitalisation, human capital will continue to play a central role in economic growth. And in the knowledge economy, highly skilled workers are vital. Understanding how skilled workers behave towards international migration is important. Observed migration flows are the result of mixed objectives — with multinational firms and other employers pursuing talent, governments acting as gatekeepers, and individuals searching for their best options. What is emerging is a clear pattern of increasing short-term and repeat (circular) migration. Return migration is another phenomenon. Within the OECD, 20–50 per cent of immigrants leave within five years of arriving in a country. In some contexts, high-skilled immigrants are more likely to return home than low-skilled migrants. This usually occurs a relatively short time after arrival and is linked to economic conditions, difficulties in obtaining citizenship, and the ease of moving across borders. Highly skilled migrants can struggle with the migration experience if labour expectations (and industry standards and qualifications) are not transparent. Highly skilled migrants still seek developed country destinations. Two-thirds of high-skilled migrants are hosted in OECD countries, with the greatest concentrations found in the United States, United Kingdom, Canada, and Australia. The numbers of high-skilled migrants also often end up concentrated in particular professions based on sector-driven demand. For example, Western Australia has the highest percentage of foreign-born medical practitioners in the world. London, New York, Paris, and Milan remain magnets for finance and fashion workers. It appears that, despite our increasingly virtualised world, talent clusters still occur due to the associated benefits of the cluster. This is because achieving a sufficient volume of similar businesses or services in one location can create sufficient scale to attract complementary specialised inputs and service providers. This in turn creates an industry cluster. This is a job creation strategy that relies on place-based development strategies, often centred around university research centres, science parks, and other enablers of business growth. Accompanying the trend towards short-term and repeat migration described above is a shift in attitudes and social norms. Researchers believe that future highly skilled workers will not think of themselves as tied to a particular national identity. Instead they will “have mentalities and connections that are much more global in nature than those of their predecessors”. This view is consistent with a trend towards increasingly global human networks and the evolution of supply chains into global value chains, with goods now produced across many countries, rather than in a single assembly line. Global value chains have led to a blurring of the boundaries of international production networks. In turn, this has led to a redrawing of the international boundaries of knowledge. In this context, it is networks that define industrial competitiveness, rather than the boundaries of nations. The changing nature of supply and demand for skilled workers globally raises the question of how to ensure that the local workforce can compete. Ensuring that local workers have jobs is in large part about ensuring a strong economy and opportunities for job creation. Perhaps counterintuitively, this means that as a nation it is important to attract the best and brightest workers from across the world. The mobility of skilled migrant workers has been linked to increased productivity. This is partly a result of matching talent to local market demand. Additionally, international labour mobility can positively strengthen linkages between domestic and international businesses. Skilled workers generate knowledge that can be used to create and implement innovations. Educated workers also have a better start for the acquisition of further skills. Science, technology, engineering, and mathematics (STEM) are the foundation for skills-based industries. Since the 1980s, STEM jobs have grown more quickly than non-STEM jobs in all OECD countries. At present STEM is associated with 75 per cent of the fastest-growing occupations, innovations, and wage premiums. The most STEM-intensive sector across the OECD is “health and social work”. As described above, health and care sectors are also at a much lower risk from automation and are likely to continue to require skilled migration. There is also evidence to show that growth in skilled employment can create a virtuous cycle. For example, at a regional level, there is a positive correlation between the growth of STEM and non-STEM jobs at the firm level. This is because the growth of STEM and other high-paying jobs has a spillover effect, whereby the income earned is spent locally on services related to non-STEM occupations. There is evidence for a local ‘high-tech’ job multiplier, at least for cities in the United States and Sweden, where for every created tradable job, at least 1.5 non-tradable jobs are created within the same city. The estimated local multiplier is even higher for specific sectors such as “machinery and computing equipment” and “electrical machinery and professional equipment”. This is contrary to arguments that investing in STEM only creates employment at the ‘top’ while destroying jobs at the ‘bottom’. While it isn’t clear if anything creates more employment in the ‘middle’, it does show a current means for creating local and regional economies that are more resilient to negative shocks. Whether the growth in STEM jobs continues in the face of automation is another question. This is because many science and maths tasks could be described as ‘routine pattern recognition’ and therefore at risk. Putting aside the debate about whether STEM jobs are safe from automation, it is worth comparing how Australia fares in the STEM stakes globally. Statistics show that we are lagging behind. While STEM occupations are on the rise, Australian student numbers are not. Today, 11 per cent fewer Year 12 students study maths than in 1992. Since 2001, there has also been a 35 per cent drop in enrolment in information technology subjects at universities. In terms of the digital economy, Australia isn’t top of the class either. It falls outside the top 10 for both the export of ICT goods and ICT services. When it comes to online shopping, businesses are more on trend. Australia ranks second only to New Zealand in terms of the number of enterprises engaged in sales via e-commerce. Increasing digital skills and on-the-job training is highly important. It does not mean that our students should spend more time with computers. In fact, it is the opposite: students who use computers extensively in school scored much worse in PISA (Programme for International Student Assessment). It is more important to reduce knowledge gaps in traditional fields such as writing, mathematics, and science. It is not a matter of spending more public money but how that money is spent. Work experience with specialised courses can be effective and time-efficient to restock new skills needed in the labour market. To ensure greater local competitiveness, the US National Intelligence Council recommends the provision of continuous workforce education, facilitation of a mobile and secure workforce, and the preservation of leadership in the development of emerging technologies and intellectual property across multiple disciplines. Such strategies can enhance the “resilience of states to potentially disruptive advances in technology” such as automation, artificial intelligence, and biotechnologies. As recommended below, a migration program that is responsive to changing conditions in the local labour market as well as internationally will also be an important component of Australia’s strategy. The changing nature of work has serious implications for government. Both labour and migration have been traditionally conceived as centred around the physical person and the notion of sovereignty and national boundaries. Virtual flows of labour show this is no longer the case. An area where this has clear ramifications is in taxation. Taxation systems are built around income tax. However, when it comes to online work, current rules do not apply. This is because existing tax law was developed primarily in a world of physical goods and in-person services. Even accounting for the location of a virtual worker or business isn’t straight forward. Is the location defined as the place where the online platform’s server is found, or is it based on the IP address of the online worker? What happens when an IP address has been rerouted or hidden? When online labour is being ‘bought’ by Australian businesses, are they simply purchasing a service? If so, such transactions will not show up in labour statistics or as income earnt by a worker in Australia. Is there a need to reconsider how-service-based transactions are classified? A secondary issue is how automation will affect taxation. With automation increasingly substituting human labour, there may be fewer workers and lower wages. This is bad news for personal-income-based tax revenues. In Australia, the majority of its taxation revenue (62.3 per cent in 2010) was from direct taxation that is levied on income. This includes wages, salaries, payrolls and profits. In a world of automation, should there be a way to account for income that has been generated by both humans and machines? How will this be allocated fairly? The digitalisation of work raises questions far beyond taxation. What would it mean for government if we thought of labour, taxation, competition and immigration policy along the lines of global (denationalised) value chains rather than national borders? How could immigration policy be better tailored to skilled workers who have become ‘transnational’? Whether it is workers’ rights, taxation or other areas of complexity, clearly thoughtful consideration and international cooperation is required. The world is changing due to the impact of the fourth industrial revolution and Australia needs to adapt with it. There are a number of areas in which policymakers could think about and act on the future of work differently. A key consideration from a labour and migration perspective is the trend towards increased mobility — both virtual and physical. More could be done to reap the gains of an increasingly mobile world. Given the transnational nature of the issue, international coordination is required. This could be in the form of visa agreements, skills partnerships, and the protection of migrants’ rights among others. In terms of domestic considerations, the challenge is matching policy structures with the new reality of work. As global work culture changes, long-term engagements are being replaced by temporary work opportunities, where specialised but adaptable skills can be put into action anywhere in the world. If work placements are shorter and more frequent, then the process to gain a visa shouldn’t take longer than the stay itself. If future workers are going to be self-employed, and/or holding a portfolio of jobs, then having a visa that is tied to a single employer, or cumbersome to transfer as employment conditions change, also creates an unwelcome barrier to labour mobility. Self-employed entrepreneurs are a key part of the digital economy. In a world where start-ups and entrepreneurialism are increasingly important, the red tape required to hire a skilled worker from overseas is often too great a barrier for small businesses. Research shows that large organisations are three and a half times more likely to employ skilled migrants as small organisations. They are also more likely to employ skilled migrants compared to not-for-profit or regional organisations. Regional organisations are less likely to employ skilled migrants but are more likely to sponsor for permanent residency. Region-linked immigration is already a major element of Australian policy but it isn’t strongly linked to an immigrant’s mobility motivations or the realities facing small-to-medium enterprises in regional areas. If the highly skilled can pick and choose which country they go to, the lure of eventual Australian citizenship and identity may no longer be enough. This question of how to attract highly skilled workers to come to Australia to work in cutting-edge industries is an important one. In the future, Australia may struggle in the global competition for skills, particularly if employers and policymakers emphasise high salaries alone. Highly skilled migrants may prefer to go to countries such as South Korea and Singapore, which can offer even higher rates of pay. Knowledge-based industries in Australia may experience shortages of innovative personnel as a result. There are many long-standing assumptions about migration in Australia that may not prove true in the new reality of work, especially if workers envisage their future as one of more flexible modes of migration and mobility. Table 2 contrasts long-standing assumptions about migration with emerging realities. Many existing policies have been developed in response to past and current contexts. They are specific to the conditions of a time and place. If we accept that the nature of migration is evolving, then it follows that the policy response may also need to evolve. Digital technology can be an effective tool in governance. Governments can use innovative technology to modernise executive organisations and functions. They can expand e-governance systems by ensuring transparency and accountability and strengthening relations with their citizens. At the same time, digitalisation can allow governments to share a wide range of data with other countries, raising concerns about surveillance over personal information. Governments can have more means to detect and collect taxes that were previously hidden in anonymous accounts in offshore locations, for example. Australia is a leader in e-governance already, including through the provision of public services online and its open data initiatives — both which help to make government more inclusive and transparent. However, overall performance in the digital sphere is mixed. This is particularly true when it comes to data. Data is a crucial asset. Combining and making datasets available is important, but so too is innovating in what and how data is collected. Evidence on skills gaps, who is employed by whom, and where value is being generated are crucial to inform effective labour and skilled migration policy. However, finding the evidence isn’t just a matter of looking in all the usual places. The ‘new economy’ remains largely undetected in statistics. The economic and labour market effects of digital technology may behave very differently than historical precedents and yet we can only speculate if this is the case. It is the unique nature of digital goods that make them so hard to track. There is, as yet, no true measure of the value of the ‘internet’ and tech-enabled services. There is also insufficient data to know whether an increasingly skilled and targeted migration program would contribute to greater innovation in Australia. It is highly likely but the evidence is lacking. Data on the impact of automation on labour markets is also lacking. It may never be clear exactly which jobs will be replaced and when. For example, we can hypothesise that humans may have a great comparative advantage over robots in other forms of intelligence such as emotional, creative, relational, and design intelligence. The question is who will be monitoring for and keeping track of these trends? Are we thinking big enough in terms of what data we collect in an age of robotics? Additionally, governments rely heavily on signals from employers to inform them what skills are in demand. The risk is that programs informed by traditional employer intelligence may be missing trends in alternative modes of work. The signals of supply and demand in the new world of work will not only come from ‘traditional’ business interests. The conversation about skilled migration in the era of digitalisation and automation shouldn’t be conducted in isolation from other dialogues around economic and social transformation. For example, we know that the knowledge economy has yet to reach beyond the city edge. In order to facilitate digital start-ups and innovation in other parts of the country, the latest digital infrastructure needs to extend beyond the major urban centres. Shouldn’t better rural and regional digital infrastructure be part of any conversation about regional migration? Given Australia’s current ranking of 50 globally in terms of fixed line internet speed and the high productivity costs of unreliable internet, there is a lot of work still to be done in this context. Likewise, conversations about national tax reform are important, but they also need to be framed by the implications of virtual migration. This isn’t just about those working outside Australia for Australian companies. How could Australian gig workers win more work online? From a business perspective, Australia is already perceived as a high-cost, highly inflexible, and heavily regulated country. What would it take to ensure Australians were competitive in the digital economy while working from their lounge rooms? And what are the implications for both competition policy if the playing field is international not national? Complex challenges require a whole-of-government approach because no single government department has all the pieces of the puzzle. Such an approach is not easily achieved. Like all large hierarchical organisations, government functions tend to run most smoothly when confined within a single department. This makes sense given that existing structures mean that information flows most efficiently within departmental silos rather than across departments. Changing what works would require changing mindsets as much as structures or policies. While various efforts are underway to better forecast and anticipate the needs of the future workforce, it is unlikely that every outcome can be predicted. As stated above, the velocity, scope, and systems impact of the fourth industrial revolution has no historical precedent. When compared with previous industrial revolutions, the fourth is evolving at an exponential rather than a linear pace. This makes future predictions based on past trends problematic. Given the speed of change and the potential for significant social as well as economic disruptions, the ability to adapt will be key. A migration program that is responsive to changing conditions in the local labour market as well as internationally will be an important component of Australia’s strategy. In coming years, as the impact of automation and virtual migration is more apparent, and the nature of work shifts, government will be called upon to assist businesses, workers, and communities transition to new industries, new markets, and new jobs. There will be tension as decision-makers seek to balance the needs of the many and ensure the best possible outcome for all levels of society. A key ingredient will be the degree of trust or mandate from the general public. Fear and uncertainty can get in the way of a more reasoned conversation about trade-offs. And perception can triumph over reality. For example, in the past, attitudes to immigration have been closely correlated to the unemployment rate, even though there has been no significant (statistical) association between Australia’s large-scale immigration program and rates of unemployment. Within complex systems, anxiety can act like an allergic reaction to change. Growing inequality can be a cause for social tension, conflicts, and even violent extremism. Feedback within the system can turn into widespread resistance and lead to unpredictable outcomes. One antidote is dialogue based on possibility rather than fear. We can’t dismiss that significant economic disruptions are being created through technology, fuelling tensions within society. However, it is important to acknowledge that technology isn’t in the driver’s seat. Technology isn’t neutral or magical. It is as much the result of conscious and unconscious social, economic, and political choices as it is a result of technological developments. There needs to be greater dialogue about the path we want to take and the future that we want to create. Questions around ethics, compliance, privacy and surveillance should all be put on the table. What are the principles we agree to? What do we want to let go of and what do we want to safeguard? How can we protect the best of human society while making room for the new? While there are mixed views on the degree to which the fourth industrial revolution will truly transform our lives, significant change is coming. Technology, globalisation, and digitalisation are having a tremendous impact on employment and migration globally. There will be shifts in everything from the tasks that we undertake in our work through to the organisation of firms and the wider economy. Virtual mobility and the online labour market in particular defies traditional borders and approaches. There are serious implications for everything from taxation through to migration and labour policy. Disruptions will unfold over decades rather than months but the seeds of the future are already here. We have choices to make. There needs to be a deeper discussion of the path we are forging as a nation in a globalised world, and the future that we want to create. Assumptions about tomorrow’s workplaces are still being framed in terms of today’s patterns of employment and economic migration. It is time to look ahead. There is no right answer but many possible solutions that should be considered in a portfolio approach to policymaking. Action, evaluation, reflection, and adaptation are key ways for government to approach complex policy challenges and their associated uncertainties. Ongoing learning isn’t just for workers. We will all have to adapt as the future unfolds. The author would like to thank experts for giving their time to take part in an interview on the future of work. They include Justin Baird (Managing Director of R&D, Technology & Innovation, Accenture Technology, Liquid Studio), Nicholas Davis (Head of Society and Innovation, World Economic Forum), Samantha Fernando (Head of Organisational Development, Asia Pac Talent Pillar Lead at PwC), Sangheon Lee (Senior Research Officer, International Labour Organisation), John Lydon (Managing Partner, Australia and New Zealand, McKinsey & Company), Jan Owen AM (CEO, Foundation for Young Australians), Matt Rockman (Co-founder of SEEK), Jim Stanford (Economist and Director of the Centre for Future Work, The Australia Institute), Stephen Walters (Chief Economist, Australian Institute of Company Directors). The author also acknowledges the guidance of Jiyoung Song, former Director of the Migration and Border Policy Project, Lowy Institute. Dr Fiona McKenzie is a Co-Founder and the Director of Strategy for the Australian Futures Project. The objective of the Australian Futures Project is to create a flourishing future for all Australians. Multi-sector, non-profit, and non-partisan, the Project stimulates and supports leaders, experts, and the community to identify, test, and build initiatives to improve how Australia creates its future. A human geographer, Fiona is also an Honorary Associate in the School of Humanities and Social Sciences at La Trobe University. Klaus Schwab, The Fourth Industrial Revolution (United Kingdom: Penguin, 2017). Christophe Degryse, “Digitalisation of the Economy and its Impact on Labour Markets”, ETUI Working Paper 2016.02, European Trade Union Institute, 2016, https://www.etui.org/Publications2/Working-Papers/Digitalisation-of-the-economy-and-its-impact-on-labour-markets. Ulrich Walwei, “Digitalization and Structural Labour Market Problems: The Case of Germany”, ILO Research Paper No 17, International Labour Office, Geneva, September 2016, http://www.ilo.org/global/research/publications/papers/WCMS_522355/lang--en/index.htm. Nicolas Colin and Bruno Palier, “The Next Safety Net: Social Policy for a Digital Age”, Foreign Affairs, July 2015. Degryse, “Digitalisation of the Economy and its Impact on Labour Markets”. Richard Berriman and John Hawksworth, “Will Robots Steal our Jobs? The Potential Impact of Automation on the UK and other Major Economies”, UK Economic Outlook, March 2017, 30–46, http://www.pwc.co.uk/economic-services/ukeo/pwc-uk-economic-outlook-full-report-march-2017-v2.pdf. Carl Frey and Michael Osborne, “The Future of Employment: How Susceptible Are Jobs to Computerization?”, Oxford Martin School Working Paper, University of Oxford, September 2013, http://www.oxfordmartin.ox.ac.uk/publications/view/1314. Melanie Arntz, Terry Gregory and Ulrich Zierahn, “The Risk of Automation for Jobs in OECD Countries: A Comparative Analysis”, OECD Social, Employment and Migration Working Papers No 189, June 2016, http://www.oecd-ilibrary.org/social-issues-migration-health/the-risk-of-automation-for-jobs-in-oecd-countries_5jlz9h56dvq7-en?crawler=true. James Manyika et al, “Harnessing Automation for a Future that Works”, McKinsey Global Institute, January 2017, https://www.mckinsey.com/global-themes/digital-disruption/harnessing-automation-for-a-future-that-works. Maarten Goos, Alan Manning, and Anna Salomons, “Job Polarization in Europe”, American Economic Review 99, No 2 (2009), 58–63, http://www.aeaweb.org/articles.php?doi=10.1257/aer.99.2.58. Maarten Goos, Jozef Konings and Emilie Rademakers, “Future of Work in the Digital Age: Evidence from OECD Countries”, Flexibility@work yearly report on flexible labor and employment, Ranstad, 2016, https://www.randstad.gr/ugc/wf360/Randstad-Flexibility@work-2016.pdf. Manyika et al, “Harnessing Automation for a Future that Works”. Hugh Durrant-Whyte et al, “The Impact of Computerisation and Automation on Future Employment”, in Australia’s Future Workforce? (Melbourne: Committee for Economic Development of Australia, 2015), 56–64, http://www.ceda.com.au/CEDA/media/ResearchCatalogueDocuments/Research%20and%20Policy/PDF/26792-Futureworkforce_June2015.pdf. Karen Ward, “The World in 2050: From the Top 30 to the Top 100”, Global Economics, HSBC Global Research, London, January 2012; Department of Defence, Defence White Paper, 2013 (Canberra: Commonwealth of Australia, 2013), http://www.defence.gov.au/whitepaper/2013/. Ben Bland, “China’s Robot Revolution”, Financial Times, 7 June 2016, https://www.ft.com/content/1dbd8c60-0cc6-11e6-ad80-67655613c2d6?mhq5j=e2. Berriman and Hawksworth, “Will Robots Steal our Jobs? The Potential Impact of Automation on the UK and other Major Economies”. OECD, “Automation and Independent Work in a Digital Economy”, Policy Brief on the Future of Work (Paris: OECD Publishing, May 2016), https://www.oecd.org/els/emp/Policy%20brief%20-%20Automation%20and%20Independent%20Work%20in%20a%20Digital%20Economy.pdf. Interview with Sangheon Lee, Senior Research Officer, International Labour Organization, 21 April 2017. OECD, “Automation and Independent Work in a Digital Economy”. Goos, Konings and Rademakers, “Future of Work in the Digital Age: Evidence from OECD Countries”. Stefan Hajkowicz et al, Tomorrow’s Digitally Enabled Workforce: Megatrends and Scenarios for Jobs and Employment in Australia over the Coming Twenty Years (Brisbane: CSIRO, 2016), 76–82, https://research.csiro.au/lifelong/tomorrows-digitally-enabled-workforce/. Degryse, “Digitalisation of the Economy and its Impact on Labour Markets”, 23. Walwei, “Digitalization and Structural Labour Market Problems: The Case of Germany”. Interview with Samantha Fernando, Head of Organisational Development, Asia Pac Talent Pillar Lead, PwC, 20 April 2017; Interview with John Lydon, Managing Partner, Australia and New Zealand, McKinsey & Company, 8 May 2017. Interview with Justin Baird, Managing Director of R&D, Technology & Innovation, Accenture Technology, Liquid Studio, 19 April 2017. A Aneesh, Virtual Migration: The Programming of Globalization (Durham, NC; London: Duke University Press, 2006). Lawrence Katz and Alan Krueger, “The Rise and Nature of Alternative Work Arrangements in the United States, 1995–2015”, Working Papers 603, Princeton University, Department of Economics, Industrial Relations Section, September 2016, http://dataspace.princeton.edu/jspui/bitstream/88435/dsp01zs25xb933/3/603.pdf. Kathryn Diss, “Driverless Trucks Move all Iron Ore at Rio Tinto's Pilbara Mines, in World First”, ABC News, 19 October 2015, http://www.abc.net.au/news/2015-10-18/rio-tinto-opens-worlds-first-automated-mine/6863814. Australian Bureau of Statistics, “Does Size Matter? Population Projections 20 and 50 Years from 2013”, Australian Social Trends, 2014, ABS Cat No 4102.0, 2014. Ward, “The World in 2050: From the Top 30 to the Top 100”. National Intelligence Council, Global Trends 2030: Alternative Worlds (Washington, DC: National Intelligence Council, 2012). Daniel Franklin and John Andrews, Megachange: The World in 2050 (Hoboken, NJ: John Wiley & Sons, 2012). OECD, Perspectives on Global Development 2017: International Migration in Shifting World (Paris, OECD Publishing, 2016), http://www.oecd-ilibrary.org/development/perspectives-on-global-development-2017_persp_glob_dev-2017-en. Sari Pekkala Kerr et al, “Global Talent Flows”, Journal of Economic Perspectives 30, No 4 (2016), 83–106. National Intelligence Council, Global Trends: Paradox of Progress (Washington DC: National Intelligence Council, 2017). A Aneesh, “Rethinking Migration: High-Skilled Labour Flows from India to the United States”, Center for Comparative Immigration Studies Working Paper No 18, University of California, San Diego, August 2000, https://ccis.ucsd.edu/_files/wp18.pdf. Otto Kässi, Vili Lehdonvirta, “Online Labour Index: Measuring the Online Gig Economy for Policy and Research”, Oxford University, Oxford Internet Institute, Oxford University, September 2016, http://ipp.oii.ox.ac.uk/2016/programme-2016/track-c-markets-and-labour/online-gig-economy/otto-kassi-vili-lehdonvirta-online. University of Oxford, “Rise of Online Work Captured in the First Online Labour Index”, News Release, 21 September 2016, http://www.ox.ac.uk/news/2016-09-21-rise-online-work-captured-first-online-labour-index. Nübler, “New Technologies: A Jobless Future or Golden Age of Job Creation?”. Interview with Matt Rockman, Co-founder of SEEK; Investor, Rockcorp, 24 April 2017. Aneesh, Virtual Migration: The Programming of Globalization. Rise of online work captured in the first Online Labour Index, Oxford Internet Institute, 21 September 2016, https://www.oii.ox.ac.uk/news/releases/rise-of-online-work-captured-in-the-first-online-labour-index/. Sanna Ojanpera, “Mapping the Availability of Online Labour”, Oxford Internet Institute, University of Oxford, 2016, https://www.oii.ox.ac.uk/blog/mapping-the-availability-of-online-labour/ (accessed 3 May 2017). Viki Lehdonvirta, “Is the Online Gig Economy Growing?”, Oxford Internet Institute, University of Oxford, 2016, https://www.oii.ox.ac.uk/blog/is-the-online-gig-economy-growing/ (accessed 3 May 2017). Kerr et al, “Global Talent Flows”. Interview with Nicholas Davis, Head of Society and Innovation, World Economic Forum, 13 April 2017. Stephen Castle, “Rethinking Australian Migration”, Australian Geographer 47, Issue 4 (2016), 391–398. Interview with Jan Owen, CEO, Foundation for Young Australians, 27 April 2017; Interview with Justin Baird, Managing Director of R&D, Technology & Innovation, Accenture Technology, Liquid Studio, 19 April 2017. Jim Stanford, “New Research Symposium on Work in the ‘Gig Economy’”, The Australia Institute, 21 August 2017, http://www.futurework.org.au/new_research_symposium_on_work_in_the_gig_economy. Rob Davies, “Uber Loses Appeal in UK Employment Rights Case”, The Guardian, 11 November 2017, https://www.theguardian.com/technology/2017/nov/10/uber-loses-appeal-employment-rights-workers. “Drivers Win Landmark Case against Uber”, Sky News, 30 October 2016, http://www.skynews.com.au/tech/technews/2016/10/30/drivers-win-landmark-tribunal-case-against-uber.html. Fidelma Breen, “Australian Immigration Policy in Practice: A Case Study of Skill Recognition and Qualification Transferability amongst Irish 457 Visa Holders”, Australian Geographer 47, Issue 4 (2016), 491–509. Kerr et al, “Global Talent Flows”, 102. Richard Baldwin, The Great Convergence: Information Technology and the New Globalization (Cambridge, Massachusetts: The Belknap Press of Harvard University, 2016). Chris F Wright et al, Economic Migration and Australia in the 21st Century, Lowy Institute Analysis (Sydney: Lowy Institute for International Policy, 2016), https://www.lowyinstitute.org/publications/economic-migration-and-australia-21st-century. Australian Bureau of Statistics, Labour Force, Australia, Detailed, ABS Cat No 6291.0.55.001, October 2015; PricewaterhouseCoopers, “A Smart Move: Future-proofing Australia’s Workforce by Growing Skills in Science, Technology, Engineering and Maths (STEM)”, April 2015, https://www.pwc.com.au/pdf/a-smart-move-pwc-stem-report-april-2015.pdf. Hajkowicz et al, Tomorrow’s Digitally Enabled Workforce: Megatrends and Scenarios for Jobs and Employment in Australia over the Coming Twenty Years. OECD, OECD Digital Economy Outlook (Paris: OECD Publishing, 2015), http://www.oecd.org/internet/oecd-digital-economy-outlook-2015-9789264232440-en.htm. OECD, OECD Science, Technology and Industry Scoreboard 2015: Innovation for Growth and Society (Paris: OECD Publishing, 2015), http://www.oecd.org/science/oecd-science-technology-and-industry-scoreboard-20725345.htm. Mårten Blix, Digitalization, Immigration and the Welfare State (Cheltenham, UK; Northampton, MA, US: Edward Elgar Publishing, 2017); OECD, Students, Computers and Learning: Making the Connection, PISA (Paris: OECD Publishing, 2015), http://www.oecd.org/publications/students-computers-and-learning-9789264239555-en.htm. National Intelligence Council, Global Trends: Paradox of Progress. Australian Taxation Office, “Pocket Guide to the Australian Taxation System 2012–13”, 2013, 2. Ernst & Young, “Tax Issues in the New Digital Environment: Media and Entertainment”, 2013, http://www.ey.com/Publication/vwLUAssets/Tax_issues_in_the_new_digital_environment/$FILE/Tax_issues_in_the_new_digital_environment_YY2877.pdf. OECD, Perspectives on Global Development 2017: International Migration in Shifting World. Roslyn Cameron and Jennifer Harrison, “The Use of Temporary Skilled Migration in Australian Organisations’, International Journal of Organizational Analysis 21, No 2 (2013), 104–123. Australian Government, “The Digital Economy: Opening Up the Conversation”, September 2017, https://www.industry.gov.au/innovation/Digital-Economy/Documents/Digital-Economy-Strategy-Consultation-Paper.pdf. Wright et al, Economic Migration and Australia in the 21st Century. Akamai’s State of the Internet Q1 2017 Report, https://content.akamai.com/gl-en-pg9135-q1-soti-connectivity.html. Interview with Stephen Walters, Chief Economist, Australian Institute of Company Directors, 18 April 2017. Fiona McKenzie, “Complex Adaptive Systems: Implications for Leaders, Organisations, Governments and Citizens”, Australian Futures Project, Policy Brief 1, May 2014, http://www.fionamckenzie.com.au/wp-content/uploads/2013/09/AFP-PB1-Complex-Adaptive-Systems-140615.pdf. Schwab, “The Fourth Industrial Revolution: What it Means, How to Respond”. Kate Golebiowska, Amani Elnasri and Glenn Withers, “Responding to Negative Public Attitudes towards Immigration through Analysis and Policy: Regional and Unemployment Dimensions”, Australian Geographer 47, Issue 4 (2016), 435–453.